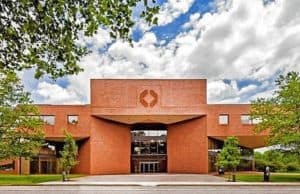 Home / Posts Tagged "executive health"
Princeton Longevity Center relocates headquarters to prestigious Carnegie Center in Princeton, NJ in April 2019. PRESS RELEASE: PRINCETON, NJ, August 3, 2018 / Princeton Longevity Center’s headquarters will move to Boston Property’s premiere Princeton, NJ office park in April 2019 at 104 Carnegie Center Drive. Designed by international, award-winning architects at Ware Malcomb, Princeton Longevity’s newest center offers luxurious and comfortable office space that will set the new standard in Executive Medicine and patient care. At Carnegie Center, Princeton Longevity is also wonderfully accessible by car, train, and airline travel and boasts onsite accommodations with the Hyatt Regency Princeton for both domestic and international travelers. “From the moment you walk through the doors, we want you to know that our center is dedicated to giving you an exceptional medical experience unlike anything you’ve had before,” says Dr. David Fein, Medical Director at Princeton Longevity Center. He continues, “But the level of luxury and décor of our offices should only compliment the experience of our world-class medical staff and the service from our patient care teams. We are far more than just a pretty office… but we will have that too at Carnegie Center”. For updates on Princeton Longevity Center’s newest headquarters’ opening, please join our mailing list at: https://princetonlongevitycenter.com/join_mailing. Use the HealthyOut app to quickly find (and even order) healthy restaurant dishes across the country. Check out their site or search “Healthy Out” in your phone’s “app” store. Another similar tool is www.HealthyDiningFinder.com where you can search using a zip code/town and the site will highlight “healthy” menu items at nearby restaurants; you can customize your menu item requirements (ex. low carb, low calorie, etc.) based on your needs. You can reference these resources ahead of time so that you have a plan for where you will eat and what you might order. Pack your medications: If you have prescription medications that you need to take, don’t forget to pack them so you take them as directed! It’s best to keep them in their original bottle and then put the bottle in a clear Ziploc bag in your carry on luggage. If you need to carry the medication with you during the day, you should bring an empty pill case that you can organize your medications into once you arrive at your destination so that you can carry it easily and discreetly during the day. Any supplements that have been recommended to you by your physician or dietitian should be packed as well.